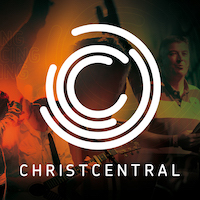 This message by Joseph Mwila entitled “Growing in leadership” was recorded at North 2013 an event organised by ChristCentral, part of Newfrontiers. Jeremy shares a movement shaping message regarding The Temple of God. He takes us through the various manifestations of the Temple we see throughout Biblical history and leads us to understand that WE are now The Temple because the spirit lives in us. Adrian Holloway speaks at our Saturday evening main meeting, explaining what it means to be a Christian and how we can respond in faith. Scott Marques continued in his two part series on Great Faith, Great Action by earthing this into action. He so clearly showed us that Everything We Do Matters, that everything counts, that effectiveness and fruitfulness matter and that we should seek first God's kingdom. Scott Marques opened North 2013 with the thunder of heaven ringing in our ears that we need great faith in a great God. That it is impossible to please God without faith and that this faith should be accompanied by great action - which he spoke more about the following day.